an outfit throwback featuring innit bangkok latest collection. having to work with them previously on a series, they figured i love all things minimal, black and pleated. they sent me this piece without revealing and i have to say, thank you for curating the package according to my aesthetic. pleats are one of my favourite texture, as it combines the idea of both structural and fluidity — bringing in the idea of duality in a garment. 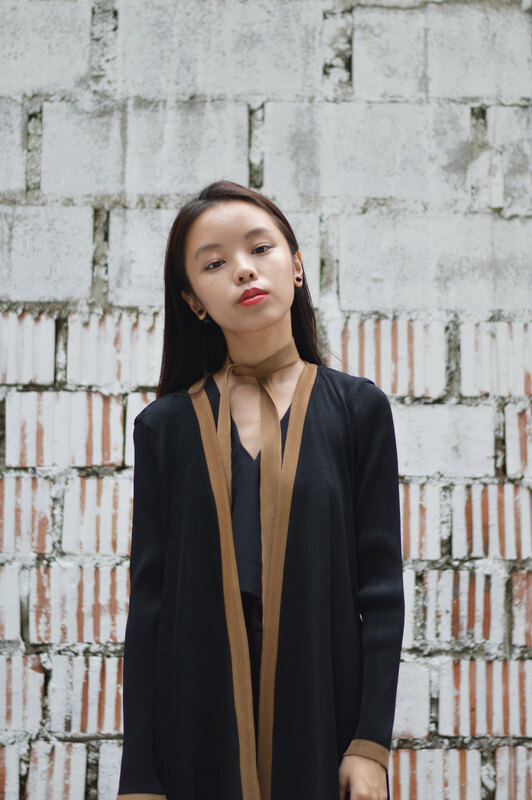 innit bangkok constantly takes pride in constructing their garments in various ways and this cardigan is no exception as it can be worn as an outerwear or dress.